Weight (kg): Approx 500 of 13"
-48", 15"*48", 18"*60", 18"*72" and 24"*60"
The precision engineered range of open stand combined planner is offered by us with clutch or without clutch. 3 in 1 Planners are manufactured keeping in mind the various factors of durability, corrosion resistance and sturdiness. We also provide customization as required by client. 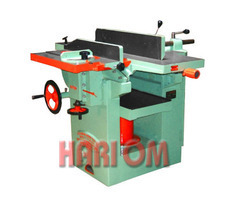 Surface Capacity : 7" 7" 7"
Surface Table : 45" 45" 45"
Combined planer machine where u can get all planning and with circular saw. We provide a broad range of combined planners, which is used both as surface or thickness planner. 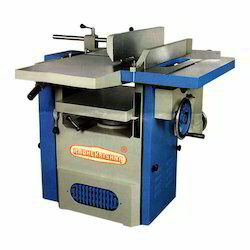 We offer combi planners that perform surfacing, thickness & sawing operations and other functions with optional attachments like drilling, molding& grinding attachments. Available Sizes : 12", 18" and 24"
- 02 nos. single phase CTs and 01 no. three phase PTs. - 03 nos. single phase CTs and 01 no. three phase PTs.